As we all know, the dining experience isn’t just about the food. There are a few places that I’m willing to go largely to sit in their chairs, listen to their music, or generally be entertained by the spirit of the place. Of course, it helps if the food is incredible as well. Have you ever organized a birthday party for a friend at a lame restaurant and felt super guilty about it? Pick one of these restaurants for their next birthday to make up for that. Average price between $40-80 a person. Bar Isabel: The OG of them all, Bar Isabel serves the most tantalizing Spanish dishes and cocktails, alongside freshly-baked bread in-house. I recommend giving them a budget and dietary restrictions and letting your server order for your group. Location: Little Italy (College Street). OMAW: this is the kind of Contemporary Canadian cuisine I’m proud to take out-of-town guests to enjoy. Small elegant bites in a sophisticated yet laid back setting. They also source most of their vegetables from a modular farm I’ve visited, and the kale salad is worth a try (even if you don’t like kale). Location: Ossington Ave.
Soos: An upscale Malaysian eatery that serves all the South Asian flavours you crave like rendang beef and laksa, but with their own spin. Go with their prix-fixe menu, and feel free to tell them if there is one particular dish you really want (or don’t). They’ll make it work. Location: Ossington Ave.
Pinky’s Ca Phe: You could walk by this house several times and not realize it is the best hipster Vietnamese restaurant in town. Think sticky fish sauce chicken wings and tiger’s milk ceviche with taro chips. If you’re in a fun mood, try their “Foco Loco” cocktails. Location: Little Italy (Clinton Street, off of Cafe Diplomatico). Dailo: Nick Liu is a creative genius and his take on modern Asian food has made a mark on the Toronto dining scene. For your first visit, make sure to order his signature Big Mac Bao. Location: College Street (halfway between Kensington Market and Little Italy, or visit Little Dailo in Assembly Chef’s Food Hall). 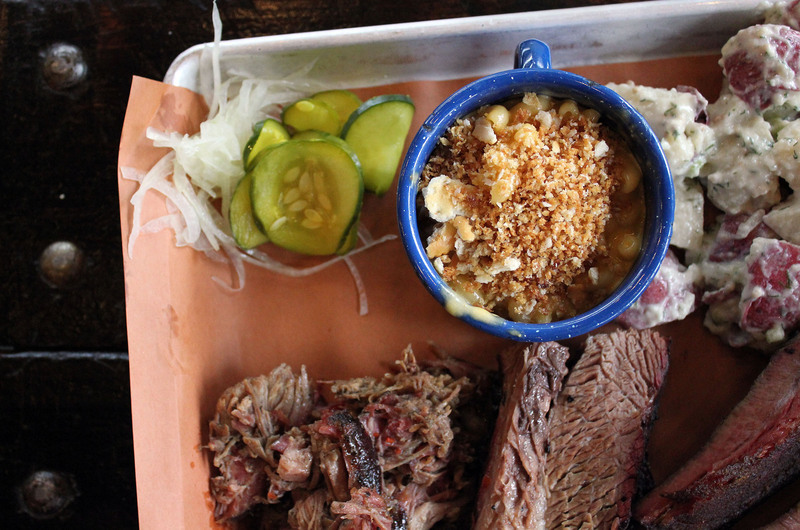 Big Crow: This place is designed to be a year-round outdoor barbecue. However, instead of being inspired by the American South, they draw inspiration from the Ontario wilderness, namely, canoe trips to Algonquin Park. Bring your flannel shirt and a hearty appetite. Location: Dupont Street (behind the Rose and Sons deli). Pai: One of my favourite Thai restaurants in Toronto, and the Regulars’ (the owners) most (too) popular establishment. Anything on the menu is great, but the Pad Gra Prow and Chef Nuit Pad Thai are still my favourites. Location: Entertainment District (Duncan St.). Sabai Sabai: This is a less hectic version of Pai, and while 70% of the menu is the same, the other 30% steer towards Laotian rather than Northern Thai dishes. This place has a whole vegan menu as well. Location: Yonge and Bloor (under the Firkin Pub). Lamesa: This restaurant is at the heart of the Filipino food movement in Toronto and the best place to go for a Kamayan-style dinner (please book in advance to avoid disappointment), with finesse. Location: Queen Street West (near Bathurst St). La Carnita: A go-to for birthdays and get-togethers, this modern taco establishment is always lively and delivers a consistently good experience. Make sure to end with a paleta or churros. Locations: John St., Queen St. E, Eglinton Ave E, and the original on College St.
Kinka Izakaya: The Kinka family of restaurants puts out incredibly fun Japanese bar food with a focus on all things grilled, and this place is great to come for a rowdy celebration (though it can occasionally be deafening). Locations (in Toronto): Church St., Bloor St., and North York. Play Cabana Cantina: There are a few restaurants in the Playa Cabana family, but this one is my personal favourite to go for tacos and margs (it’ll even make you say margs). Location: The Junction (Dundas St W). Woodlot: La Carnita, Dailo and Bar Raval are some of the best restaurants in town, and Woodlot is right there beside them (literally). I will go someday. Adamson Barbeque: This place promises proper Southern (specifically, Central Texas) BBQ and I’m all about it. Lake Inez: I heard they make a mean deviled egg. Chubby’s Jamaican: Janet Zuccarini is one of the best restauranteurs around and it’s been a hot minute since I’ve had a curry goat. Quetzal: Grant van Garmeren’s latest creation is supposed to be excellent, and this time it’ll be a taste of Mexico. Imanishi: I don’t know what this Japanese home cooking spot will bring, but I can’t wait to dig in. Please note: these places all serve great beverages, but are classified (in my opinion) as “more restaurant than bar”. Check out my “For Drinks (with Great Food)” (coming soon) list for other options! Further note: former favourites including Parts & Labour, Home of the Brave, Mr. Flamingo and Thoroughbred have all recently closed their doors.